Over the years we’ve seen a lot of extremely famous names on wine labels. Madonna and Justin Timberlake come to mind. 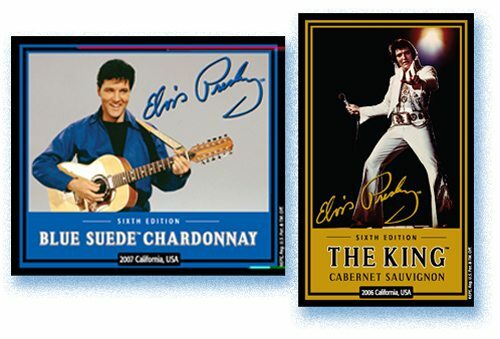 TTB approved Blue Suede Chardonnay and The King Cabernet Sauvignon in January of 2009. Fantastic to see the love being spread here! TCB Elvis fans! Don’t Be Fooled by Trademark Spam!